The story of post-war German motoring is all about the Beetle. Apparently. For most casual observers the impression is that the entire nation was rebuilding whilst pootling around in the Fuhrer's People Car. Except, that isn't true at all. An entire, albeit wounded, car industry remained after the war, consisting of many illustrious but now-dead brands like DKW, Horch and Borgward and Maybach. Some of these came together to form Auto Union, a precursor of modern-day Audi. 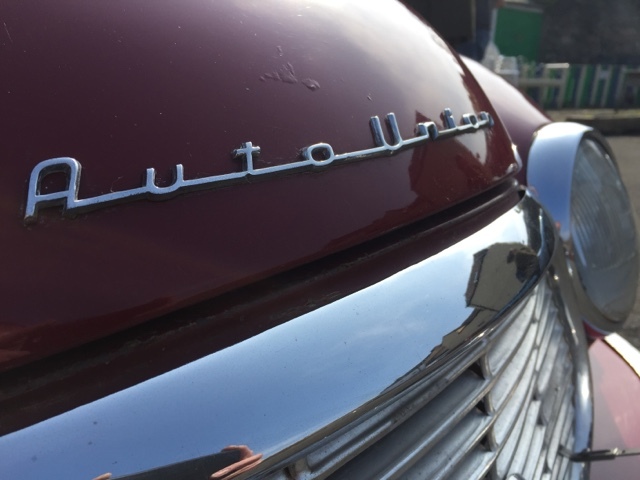 The creation of Auto Union reflected the sort of consolidation going on within the British motor industry, albeit rather more successfully as it turned out. 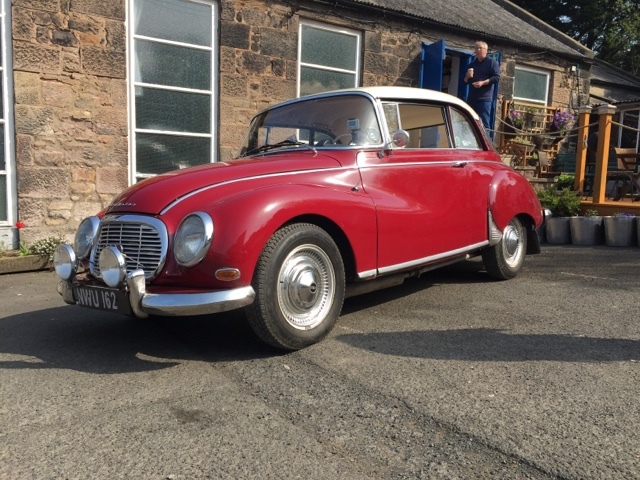 All this I've discovered after a few days with this lovely 1962 Auto Union 1000S. And it has made me wonder, many times, why on earth the Beetle was so popular. Compared to this neatly engineered, practical and effective 'people's car' the Beetle is a quirky design disaster. And I say that as someone who grew up with the VW and have a nostalgic reverence for it. Or I did. After driving the Auto Union it's hard not to feel that the success of the Beetle owed more to VW's marketing than anything else. And so life often goes, of course. The Beetle, contrary to perceived wisdom, didn't fill an empty gap in the market for a People's Car. The Ordinary People already had cars aimed at them, including those made by DKW and they were actually quite good. After the war they got better. 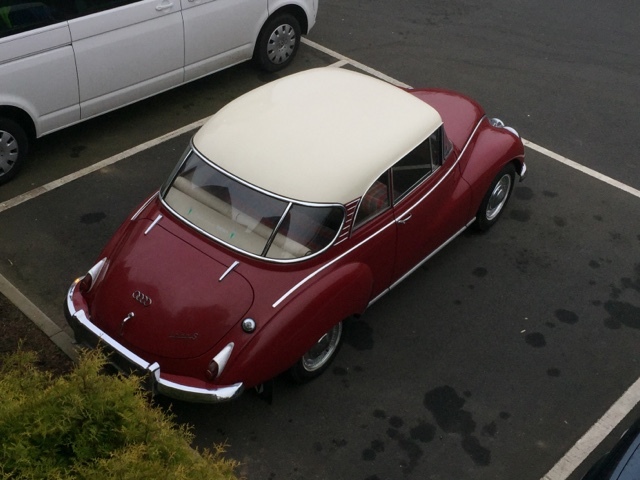 DKW brought out the 3=6 in 1953, which became this Auto Union 1000 in 1958. Unlike the Beetle, the DKW nee Auto Union had the engine in the right place (albeit a diminutive 2-stroke 1 litre) and therefore a proper boot. It was more spacious, more comfortable and quieter. And you could have four doors if you wanted them. So why did the noisy, cramped, impractical Beetle prevail? Well, you have to wonder. Its reputation for go-anywhere reliability, larger engines (making it suitable for town and long distance motoring) and the political will to make it succeed probably explains it more than the car's broad abilities. Because there is no doubt in my mind that the Auto Union is a much better car. 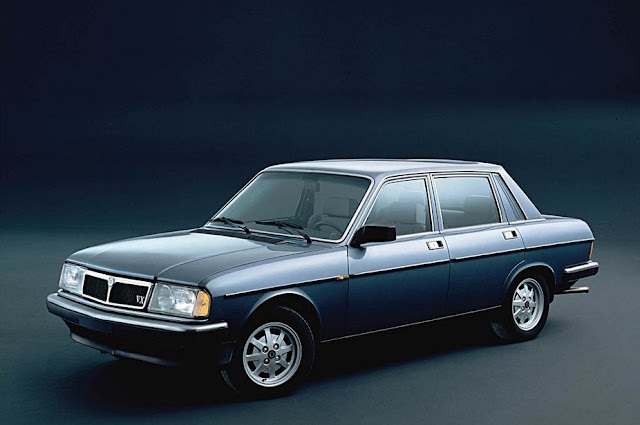 It also does Cleverness better, from the cutaway doors and Saab-like lack of sills for easy access, to the delightful vertical strip speedo and wrap-around screen and dashboard (more Saab-predating loveliness), the car is a miracle of economical and intelligent detailing. It also drives well too - smooth and solid with undramatic but communicative handling. The two stroke engine keeps busy but copes well with hills and A roads. 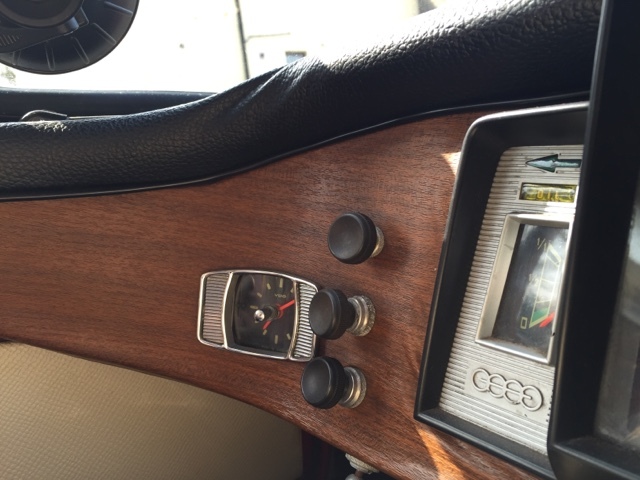 Today the Auto Union is virtually unknown outside the tight group of enthusiasts. 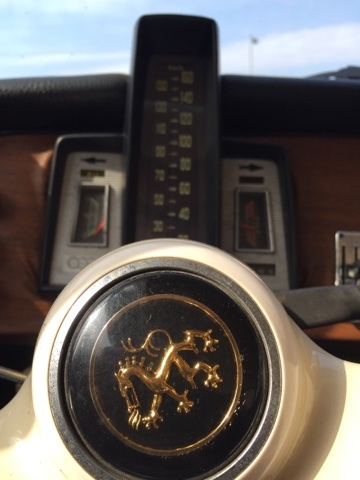 Its status isn't helped by the convulted history of Auto Union and the confusing badging - Auto Union's four rings, of course, are now associated with Audi, the only brand to survive the quartet's agglomeration. 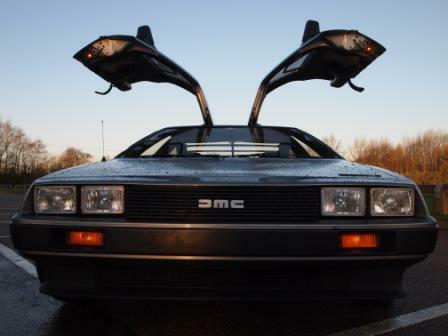 The history of motoring is beset with countless examples of great cars scuppered by circumstances and average cars that equally surfed the wave of events. The Auto Union and Beetle enjoyed different fates, but not necessarily the ones they deserved. We are using the Auto Union for film work. 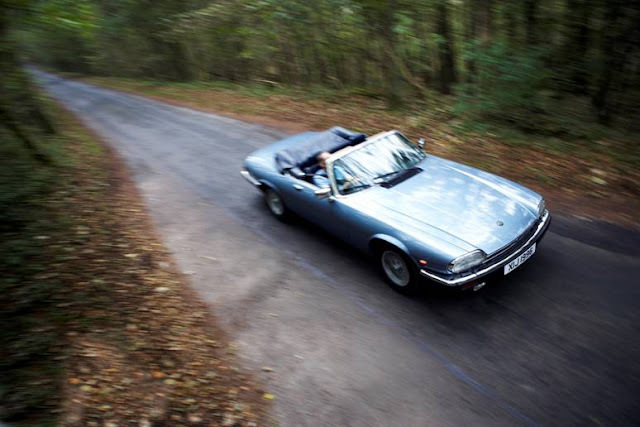 If you have a classic car that you think would look good on TV, call us on 01527 893733. Beautiful car. Love seeing things like this, thanks for the share.